Sounds like the name of a place doesn’t it..hmm..it did sound like one to me when I first heard the name as well. Hot water – 50 ml. 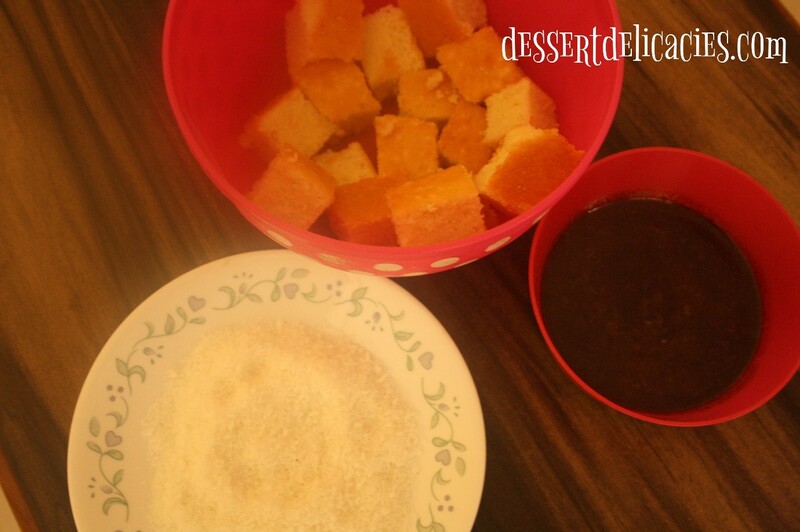 Take the sponge cake and cut them into small square pieces. 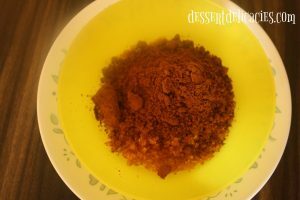 Mix the Demerara sugar, Cocoa powder and Butter in a bowl. 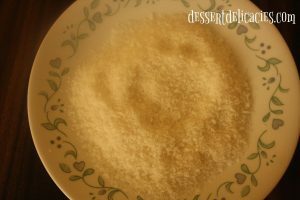 Add hot water to this and stir well to mix everything together. Spread the Desiccated Coconut in a tray. 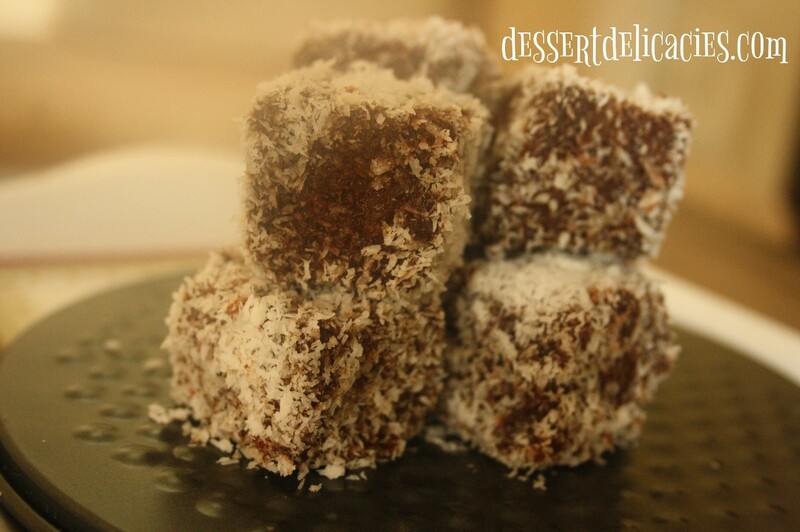 Dip the cake pieces thoroughly in the Sugar-Cocoa mix and roll in the Coconut spread. Keep all the coated Cake pieces on a wire rack till it sets. 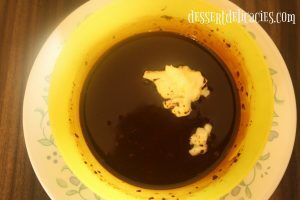 Serve as a dessert or with tea. Though Sponge cake is traditionally used for this recipe, you could very well try with other varieties of plain cakes. 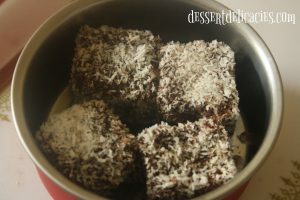 It is preferable to use a cake that is refrigerated for 4-5 hrs. 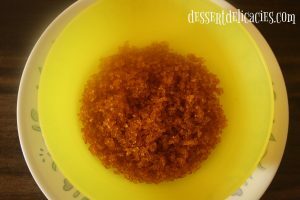 This makes the cake pieces sturdy and less powdery. Normal sugar could be used in place of Demerara sugar. I just love the zing that Demerara sugar gives to the Cocoa-Butter syrup. 1. Mix the Demerara Sugar, Cocoa Powder & Butter in a bowl. 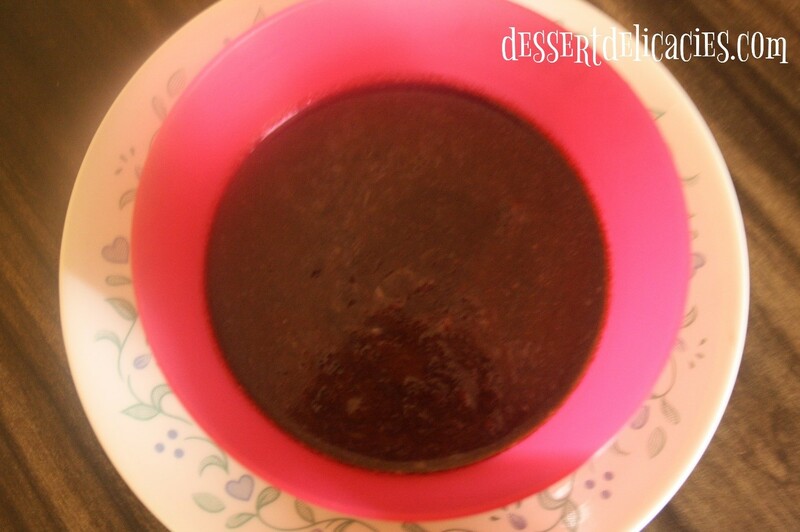 Make a concoction by adding water to this. 2. Spread the desiccated coconut in a tray. 3. 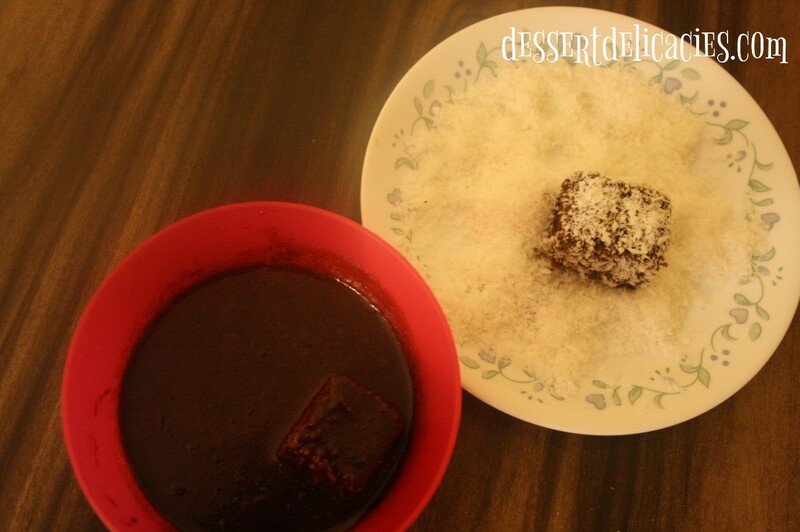 Dip the cake pieces thoroughly in the Sugar-Cocoa mix and roll in the Coconut spread. 4. 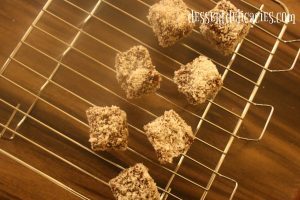 Place the coated cake pieces on a wire rack till it sets. 5. 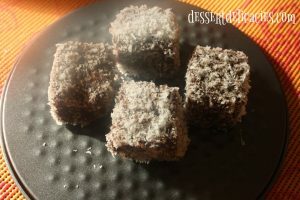 Serve the Lamingtons with tea or as a dessert.